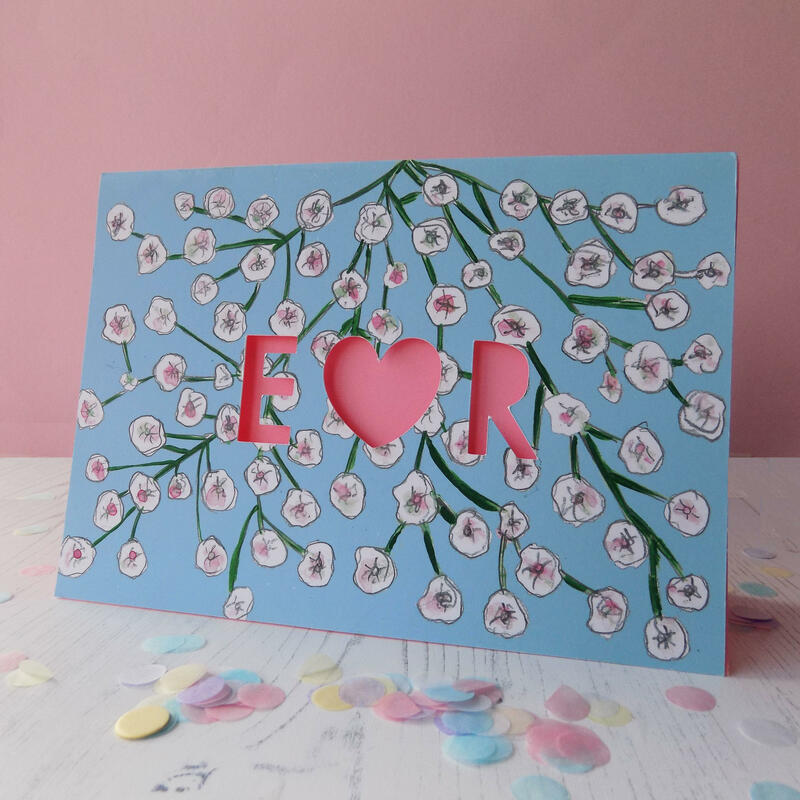 This personalised babies breath paper cut wedding card can be customised for any wedding or anniversary with the initials of the two lovers, via a paper cut monogram either side of the heart. 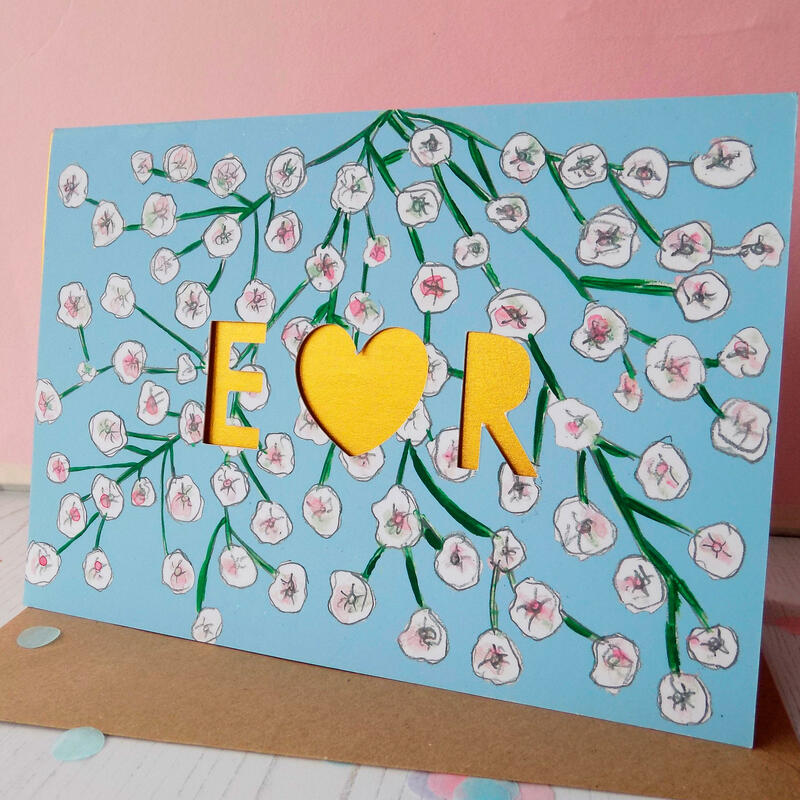 Coupled with my watercolour florals, this white based card, can be customised with the letters of your choice, as well as a coloured insert of your choice. 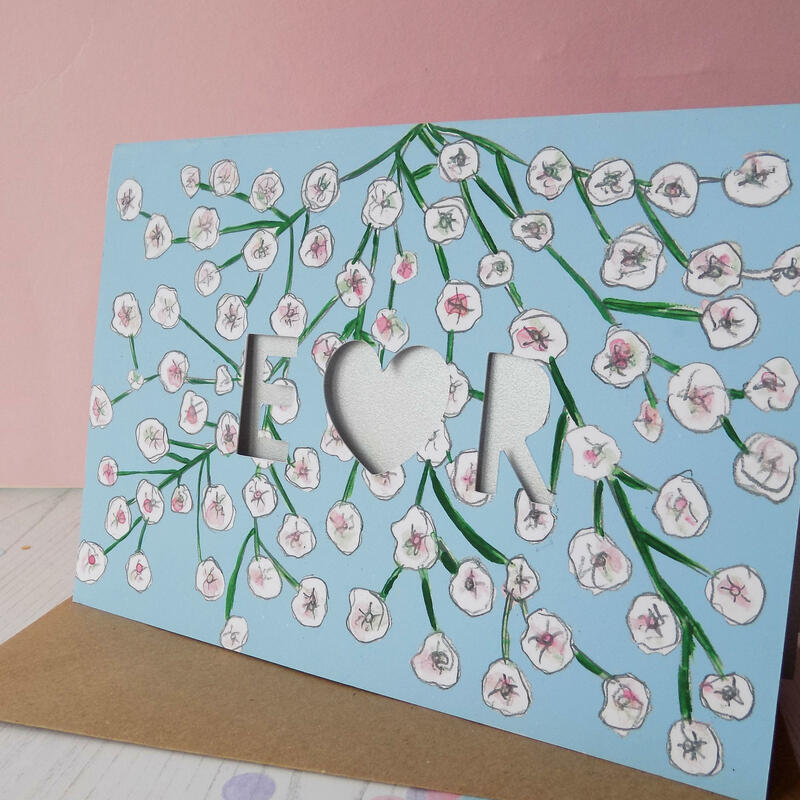 A unique card to give to a special couple on their celebratory day of love, and for them to keep forever and possibly even frame! Available in two sizes, this card is printed on smooth matte 300 gsm card and comes with a kraft envelope. Packaged naked-so no unnecessary plastic!- and sent and in a hardback envelope. If you wish to buy and you live from outside of the UK, visit my Etsy store here. Packaged naked-so no unnecessary plastic- and sent in a hardback envelope.